Did you know you can help genetically improve calves’ ability to survive and thrive? Now, with the addition of three calf wellness traits to CLARIFIDE® Plus for Holsteins, you can! Watch this video to learn how you can implement these new calf wellness traits included in CLARIFIDE Plus. 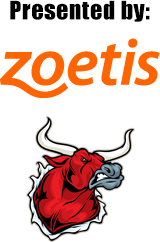 This video features a presentation by Zoetis U.S. Dairy Genetics experts highlighting the new calf wellness traits: calf livability, respiratory disease and scours. This dependable genetic information enables dairy producers to genetically improve calf health and survival within their herds, as the calf wellness trait information helps identify and select for calves more likely to survive as well as animals that are less likely to become ill due to respiratory disease and scours. CLARIFIDE Plus is the first commercially available genetic evaluation specifically designed for cow and now new calf wellness traits in U.S. Holstein cattle. The new calf wellness traits further pull back the curtain on incidence of calf livability, respiratory disease and scours to enhance overall calf wellness. With CLARIFIDE Plus, Holstein producers can identify and breed for calves less likely to become ill due to respiratory disease or scours, as well as animals that are more likely to survive up to calving. Dairy wellness is impacted by an important, underlying genetic component of the positive outcomes desired by dairy producers. Using reliable genomic technology, producers can better achieve their operational profitability goals.